The tweet is the latest in a series of salvos the Congress and the BJP have been firing at each other in the run-up to the Gujarat and Himachal Pradesh Assembly elections. New Delhi: Congress vice-president Rahul Gandhi on Sunday dared Prime Minister Narendra Modi to arrest price rise and increase employment rate or step down from the top post. Taking to Twitter, the Congress scion also called the Prime Minister’s speeches “hollow”. On Saturday, BJP chief Amit Shah had slammed Rahul Gandhi for talking about farmers' plight during campaigning for Gujarat polls, claiming that the Congress vice president was relying on a "chit" given by some NGO to speak about farmers' issues. "Rahul Gandhi is going around the state and talking about farmers based on a chit handed over to him by some NGO. He does not know that the BJP government achieved what the Congress government (during its rule in the state) could not," Shah had said. 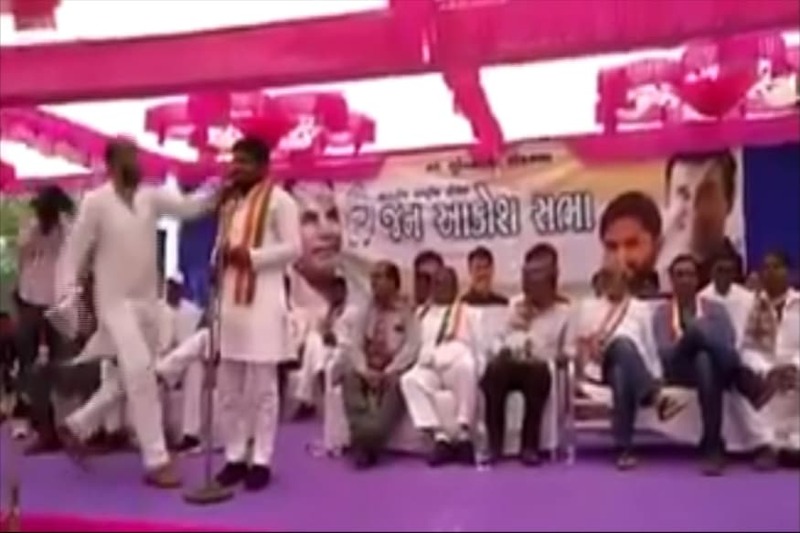 Earlier this week, Rahul Gandhi had held a rally in Surat, Gujarat’s diamond hub, where he reminded the Patidar community of police atrocities during their quota agitation seeking quota, and promised traders that his party would make changes to the GST to meet their demands if elected. "This is a fight between the truth of Gujarat and the truth of BJP. The truth of Gujarat is different from that of BJP. The truth of BJP is the order to fire on the Patel community (during quota agitation)," Gandhi had said. The 182-member Gujarat Assembly is scheduled to go to the polls in two phases — on December 9 and December 14. Himachal Pradesh will vote to elect its 68-seat Assembly on November 9. Counting in both states will be held on December 18.